A number of extremist Israeli settlers, burnt dozens of Palestinian olive saplings, and trees, that belong to residents of the Al-Khader town, south of the West Bank city of Bethlehem. Local sources have reported that a group of settlers of the Efrat settlement, built on lands illegally confiscated from the villagers, invaded the orchards, burnt approximately 80 olive saplings, in addition to nearly 20 trees (almond, apricot, peach trees). The settlers took most of the uprooted trees and saplings with them back into the settlement, the Radio Bethlehem 2000 has reported. 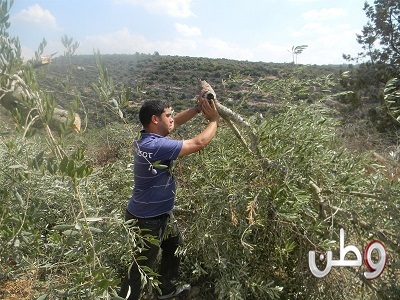 Settlers recently cut 100 olive trees in Qaryouth village, near the northern West Bank city of Nablus. The village suffers ongoing violations and attacks by Israeli soldiers and settlers. The attacks are part of escalating assaults carried out by extremist settler groups against the Palestinians, their lands and property. Earlier on Sunday morning, Israeli soldiers attacked and violently beat a Palestinian day laborer, near the Al-Walaja village, west of Bethlehem. Medical sources said that Imad Mohammad Al-Jundy, from Yatta town, south of Hebron, was attacked as he was attempting to go to work inside the Green Line. Dozens of Jewish settlers and Israeli intelligence agents desecrated the plazas of the holy Aqsa Mosque in occupied Jerusalem at an early morning hour on Sunday. Eyewitnesses said that 53 settlers including 15 intelligence agents broke into the holy site in four groups and toured its various courtyards. They pointed out that the intelligence agents entered the small mosques inside the holy site as hundreds of worshipers and vigilantes gathered nearby in protest at the desecration. Thousands of Jewish settlers converged on Al-Khalil on Saturday in preparation for attending a religious feast in the Ibrahimi mosque. Local sources said that the settlers gathered in Kiryat Arba settlement, east of Al-Khalil, before conducting rituals in the mosque. They said that big numbers of Israeli soldiers were deployed in the Old City and near the Ibrahimi mosque, which is kept closed for the second day running to provide protection for the settlers. The soldiers set up roadblocks on all roads leading to the mosque and occupied rooftops of nearby buildings. A Palestinian famer was injured afternoon Saturday when Jewish settlers attacked him while tending to his land near Ramallah. 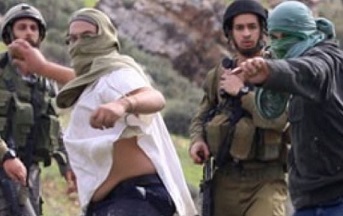 Local sources said that settlers from a settlement near to Mughir village, north east of Ramallah, attacked the farmer Yasser Nasan while collecting olives in his land, which is near to the settlement. They said that Nasan was taken to hospital for treatment of minor wounds in his head and hands. The sources said that the settlers used iron batons and sharp tools in beating the farmer, adding that family members rescued Nasan and took him to a hospital in Ramallah city. 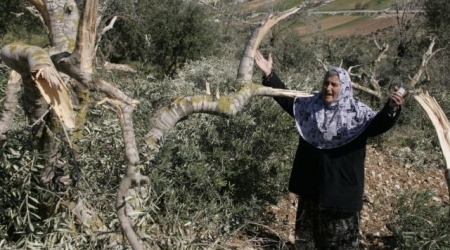 A farmer from Qaryut village inspects the olive trees that were destroyed in an overnight Israeli settler attack on October 9, 2012. Palestinian Prime Minister Rami Hamdallah says Israeli settlers destroyed more than 4,000 olive trees in the occupied West Bank during 2012. Addressing a festival celebrating the olive picking season on Palestinian lands on Saturday, Hamdallah said that his government plans to set up a committee to compensate the Palestinian farmers who suffered property damage by the settlers. He also said that the Palestinian Authority is prepared to plant 750,000 olive trees in the West Bank. Earlier this month, Israeli settlers destroyed nearly 130 olive trees in the West Bank. Citizens and foreign activists were treated for breathing difficulty after Israeli occupation forces (IOF) used teargas to disperse peaceful marches in support of prisoners and Jerusalem in various West Bank areas on Friday. Local sources said that IOF soldiers fired rubber-coated bullets, sound bombs, and teargas to break up a peaceful march for citizens of Nabi Saleh village in Ramallah. They said that the citizens, accompanied by foreign solidarity activists, tried to reach their land, threatened with confiscation, in a bid to harvest their olive crops but were confronted with a shower of teargas and rubber bullets. In Bilin village, a cameraman and a teenager were hit with rubber bullets when the soldiers fired at a demonstration heading to village land near to the racist, separation wall. Locals said that cameraman Mohammed Yassin with hit with a bullet in his back while the teenager Abdulqader Abu Rahme was hit in his foot, adding that scores were treated for breathing problems due to the Israeli soldiers’ extensive use of teargas. They said that vast tracts of cultivated land caught fire due to the IOF use of teargas, adding that Palestinian firefighters put down the blaze. IOF soldiers quelled the weekly march against settlement activity and the racist, separation wall in Ma’sara village in Bethlehem. Activist Hasan Breijeh said that the soldiers beat up the participants and tried to arrest a number of them. Meanwhile, five youngsters aged 15 to 20 years old were slightly injured in confrontations in Beit Ummar village in Al-Khalil, Mohammed Awad, the coordinator of the village’s anti-wall committee, said. He said that the soldiers fired teargas and sound bombs at a funeral causing suffocation among many participants. 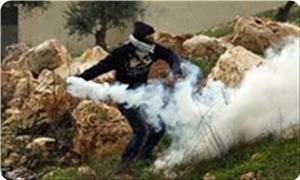 Awad said that the soldiers deliberately fired teargas at citizens’ homes and a nearby school. In another incident, Jewish settlers chopped down 30 olive trees in Hawara village, south of Nablus, on Friday. Ghassan Daghlas, an anti-settlement activist, said that settlers from Yitzhar settlement cut off the fruitful trees in northern Hawara. A group of Jewish settlers assaulted and wounded a Palestinian man and his wife in Al-Khalil on Saturday while Israeli occupation forces (IOF) arrested two citizens in Halhoul town near the city. Palestinian security sources told Quds Press that settlers from Kiryat Arba settlement, established on Palestinian land in Al-Khalil, severely beat up Mohammed Al-Qaimeri and his wife in Ras area, which is close to the settlement. They said that Palestinian ambulance crews rushed to the area and transferred the couple to hospital where their wounds were described as moderate. Meanwhile, IOF soldiers stormed the town of Halhoul, north of Al-Khalil, at dawn Saturday and set up roadblocks at entrances to other villages in the province. Local sources said that IOF soldiers detained 17-year-old Qusay Qawasme and 19-year-old Ala’a Al-Arja in Halhoul. Dozens of Israeli soldiers invaded Qaryout village, south of the northern West bank city of Nablus, shortly after extremist settlers invaded the village. Local sources have reported that a number of armored Israeli military jeeps invaded Wadi Al-Beer and Ad-Dababees area, in the village, allegedly searching for “suspicious objects”. 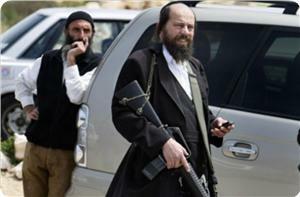 The invasion was conducted after several extremist Israeli settlers invaded the area, and attacked Palestinian property. It is worth mentioning that extremist settlers recently cut more than 100 olive trees in the village that suffers ongoing violations and attacks by Israeli soldiers and settlers. The army repeatedly illegally confiscated lands belonging to the villages for “military considerations” as well as settlement construction and expansion activities. An alleged makeshift grenade was thrown at an Israeli bus on Friday morning in the northern West Bank near the village of Yabud, west of Jenin, The Jerusalem Post newspaper reported. The newspaper said that the bus was transporting students to schools near Yabud village, adding that the Israeli forces stormed the village and started sweeping the area in search for the perpetrator. Palestinian youths hurled a Molotov cocktail at a settler bus near Yaabad village northern West Bank, Yedioth Ahronoth Hebrew newspaper said. No injuries or damage were reported in the bus attack that occurred while it was passing near Yaabad village on Friday, according to the newspaper. Large numbers of the occupation forces reached the scene and started combing the area. No arrests were reported. Meanwhile, Israeli occupation soldiers prevented Palestinian farmers in the village from harvesting their olive crops after the incident as a mass punishment. Eyewitnesses said that the soldiers stormed cultivated land lots adjacent to the settlement of Mevo Dotan to the south west of Jenin and ordered farmers, harvesting their olive crops, to leave the land and detained some of them for questioning. Citizens said that dozens of Israeli army vehicles were seen deployed at the main road near Yaabad village, adding that soldiers combed olive groves in Yaabad valley. Dozens of extremist Jewish settlers, at dawn Friday, raided al-Tawani village in the southern West Bank district of al-Khalil. Rateb al-Jabour, coordinator of the popular committee against settlement in the village of Yatta to south of al-Khalil told Quds Press that about a hundred Jewish settlers accompanied by IOF troops raided al-Tawani village at dawn Friday and marched the streets of the village chanting racist slogans against Arabs and Muslims which resulted in clashes between the villagers and the settlers. On a similar note, IOF troops raided the Aida refugee camp in Bethlehem district and handed summonses to five young Palestinians ordering them to attend the Israeli intelligence headquarters. 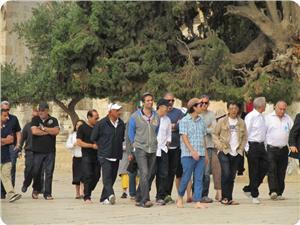 Groups of Jewish fanatics broke into the Aqsa Mosque in occupied Jerusalem via the Maghareba gate on Thursday morning. Local sources said that tension was running high inside the holy site as worshipers and students chanted Allahu Akbar near to the Jewish fanatics during their tour of the Mosque. The so-called temple mount center for tourism tours and studies had called on Jews to join an organized tour of the Aqsa Mosque on Thursday, saying that it would provide information during the tour on the alleged history and relics of the temple. A number of Israeli journalists known for their fanaticism and racism against the Palestinians participated in the tour. Settlers attacked last night several houses in Burin village south of Nablus, while Israeli forces arrested four minors in the city. 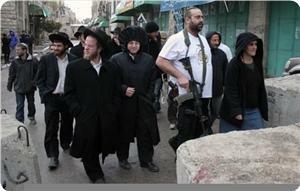 A group of Jewish settlers, from Brakha settlement built on Burin village, attacked a Palestinian house in the town. A child was injured during the attack in addition a state of panic has prevailed among the citizens. Ghassan Daghlas, a Palestinian official in charge of settlements file in the northern part of the West Bank, stated that Israeli settlers' attacks have significantly increased against Palestinian citizens and their properties particularly during the olive harvest season. Meanwhile, Israeli settlers stormed Tuesday morning one of the Ibrahimi mosque's facilities in al-Khalil where they started restoration work as a prelude to confiscating it. Al-Awqaf Department in al-Khalil was informed that the Israeli settlers have changed the door of the building adjacent to the mosque entrance as a prelude to taking it over. Al-Awqaf department considered the settlers' restoration works as a blatant attack against Islamic religious sites and a provocation to Muslim worshipers' feelings. 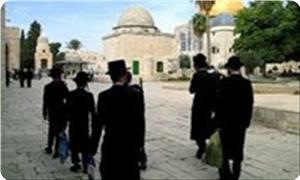 The department called for an end to the restoration works to avoid contact between Muslim and Jewish worshipers. A number of Israeli settlers invaded Palestinian lands that belongs to a resident of the Al-Khader town, south of Bethlehem, uprooted dozens of olive saplings and grapevines, and demolished a wall. 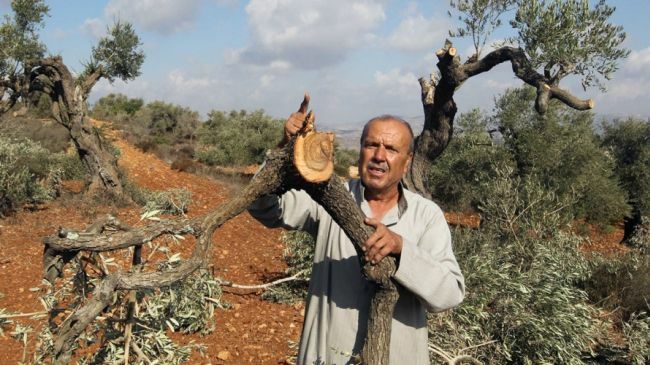 Ahmad Salah, coordinator of the Popular Committee against the Wall in Al-Khader, stated that the settlers uprooted and stole more than 80 olive saplings, planted nearly two year ago in Batn Al-Ma’sy area, south of the town. He added that the attacked lands belong to resident Ala’ Omar Issa, and that the settlers also uprooted newly planted grapevines, and demolished a wall surrounding the lands. Salah said that the escalation against the Palestinians, their lands and property, is part of an ongoing Israeli campaign meant at forcing the residents to abandon their lands so that they can be used for settlement construction and expansion activities. 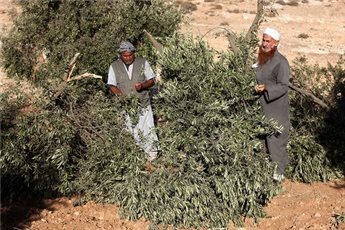 On Saturday morning, [October 19, 2013], a number of extremist settlers invaded Palestinian olive orchards in Qaryout village, south of the northern West Bank city of Nablus, and uprooted more than 100 olive trees. On Friday, [October 17] settlers illegally occupied 20 Dunams (4.94 Acres) of Palestinian lands that belong to residents of Aseera Al-Qebliyya village, south of the northern West Bank city of Nablus, and fenced the lands preventing the owners from entering them. On Saturday, October 12, extremist settlers attacked and injured two Palestinian children in Susiya village, east of Yatta town, south of the southern West Bank city of Hebron. 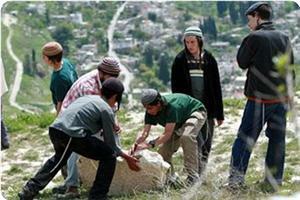 The settlers also hurled stones at residents harvesting their olive trees in the area. Medial sources said that a woman identified as Sameeha Nawaj’a, 40 years of age, and Nasser Mohammad Nawaj’a, 33, suffered various cuts and bruises. Eyewitnesses said the settlers also killed a sheep. A number of extremist Israeli settlers gathered at the eastern entrance of Bethlehem city, near Hilwa Tomb bridge area, and threw stones at a number of Palestinian vehicles. 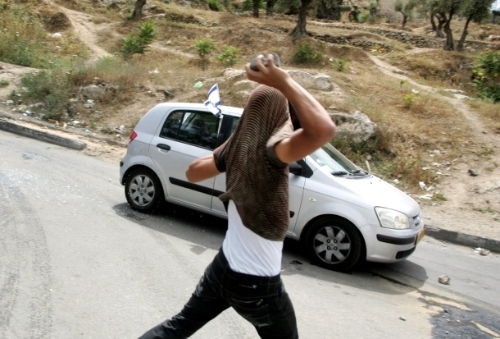 The Radio Bethlehem 2000 has reported that the young extremist settlers caused excessive damage to a number of cars driving into Bethlehem, and cars heading to Hebron, in the southern part of the occupied West Bank. 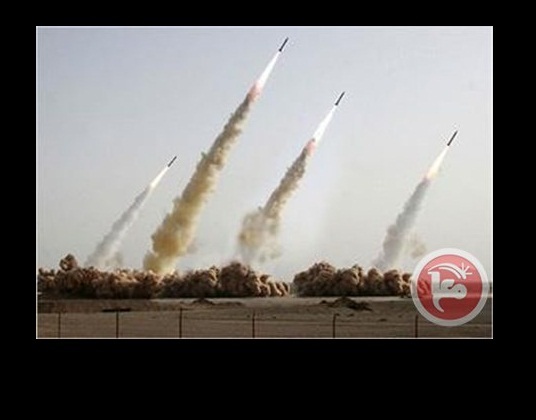 The attack caused traffic ham on the road especially since this road is one of the most active roads in the area as it is the only road the Palestinians can use when driving from the southern part of the West Bank, to areas in central and northern parts. Also on Tuesday, extremist settlers uprooted dozens of olive saplings, and grapevines that belong to residents of the Al-Khader town, south of Bethlehem. A number of Israeli soldiers attacked on Tuesday [October 22, 2013] a Palestinian child at one of the military roadblocks in the Old City of Hebron, in the southern part of the West Bank. The child lost consciousness and was moved to a local hospital. 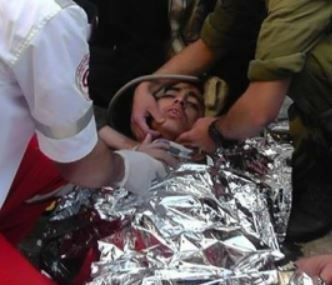 Medical sources said that Red Crescent medics provided the child, Hamdan Mohammad Sha’abna, 15, with the urgently needed first aid, and moved him to the Hebron Governmental Hospital in the city. The child suffered concussion due to being repeatedly hit and punched in the head, and suffered internal bleeding as the soldiers also kicked him in his abdomen, in addition to kicking and punching him in the arms and legs, the Radio Bethlehem 2000 has reported. His mother said that as she and her child were trying to cross a military roadblock in Bab Az-Zaweya area, two Israeli soldiers stopped them and asked the child to show them his ID card. The child said he does not have one, as ID cards are issued at age 16. The soldiers then forced the child against a wall before a soldier kicked him in the legs and continued to punch him and hit him with his rifle on his abdomen, followed by several blows to the head; the child fell unconscious, barely breathing. Medical sources at the Hebron Hospital said that the child is currently in a stable condition, and that he will remain hospitalized for further checkups to ensure full recovery, and to ensure the violent beating did not lead to serious damage to his organs. In related news, a number of extremist Israeli settlers illegally occupied a Palestinian home at the entrance of the Ibrahimi Mosque in Hebron. Local sources have reported that the settlers moved furniture and supplies into the building, and added that the location of the property is very important as it next to the road the Palestinians take to enter the mosque. Residents expressed fear that, should the settlers turn the property into an outpost, Muslim worshipers heading to the mosque will be subject to ongoing assaults. A Palestinian child was injured in Al-Khalil on Tuesday after Israeli occupation forces (IOF) manning a roadblock in downtown used their rifle butts in assaulting him. 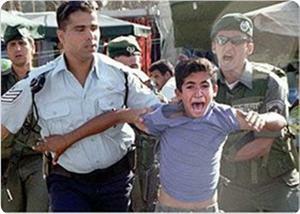 Eyewitnesses told the PIC that clashes erupted after the incident, adding that the child was severely beaten. They said that the soldiers fired teargas and metal bullets at citizens and parking cars in Bab Al-Zawiya, adding that young men threw stones and empty bottles at the soldiers. They said that soldiers occupied rooftops of buildings in the suburb where tension was running high since the morning hours after dozens of young men gathered in protest at the killing of Mohammed Asy, a Palestinian resistance fighter, at the hands of IOF soldiers in Ramallah. Five settlers have been injured after a group of Palestinians hurled stones at their cars near Tkou' village, east of Bethlehem, Israel's Channel 7 reported Tuesday. The channel claimed that the five settlers were on their way from Har Homa "Abu Ghunaim" settlement heading to Gush Etzion, when dozens of Palestinians started hurling stones at them. 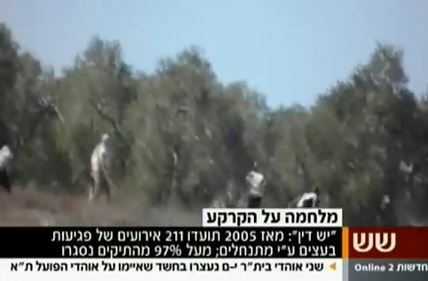 According to the channel, the settlers were lightly injured and treated on field. 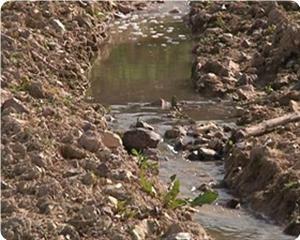 A number of extremist Israeli settlers used sewage water to flood Palestinian farmlands in the Al-Khader town, south of the West bank city of Bethlehem. 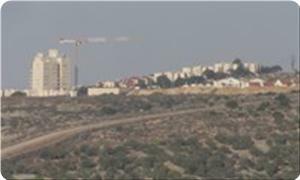 Head of the Al-Khader Local Council, Tawfiq Salah, stated that settlers of the Efrat settlement, built on lands that belongs to the Al-Khader residents, drowned the lands with sewage water, flooding grapevines and other agricultural lands. Salah said that the lands are located in Al-Abyar and the Al-Bassa areas, close to the settlement. He further stated that this attack is not the first of its kind, and that the same areas have been repeatedly targeted by the settlement causing significance to farmlands, in addition to posing health hazards and foul smell. Salah added that the settlers and the soldiers have been escalating their assaults, closing agricultural lands in Ein Al-Qassis and Ein Masour areas, west of the Al-Khader, by placing sand hills, preventing the residents from reaching their lands. Police reported that citizens contained a 15-year-old Jewish boy who was attacking Arab women in Jerusalem. Police arrested the suspect after he sprayed the women with mace; one of the women, a 40-year-old, had to receive medical treatment. A Palestinian resistance element tried Sunday evening to stab an Israeli settler northwest of Bethlehem, in the southern occupied West Bank, Israeli media sources claimed. 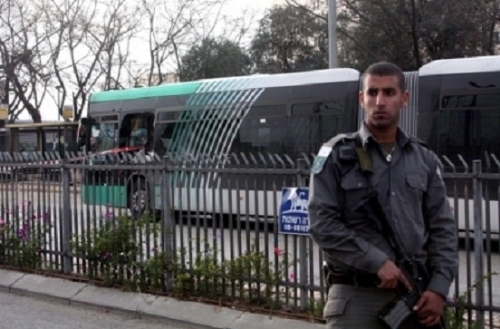 The Israeli second channel claimed that a Palestinian tried to stab a settler in a bus near Beitar checkpoint northwest of Bethlehem, noting that no injuries were reported. Israeli military forces have attended the area, immediately, searching for the Palestinian who managed to flee the scene despite the intensive security restrictions, the sources added. The Israeli occupation forces (IOF) kidnapped at dawn Monday nine Palestinian citizens during raids on homes in different areas of the West Bank. Local sources reported that the IOF stormed Ras Al-Ein neighborhood in Nablus city and kidnapped a young man named Aboud Sobh from his home, adding that the IOF took Sobh to Hawara military post south of Nablus. Sobh is the brother of two prisoners in Israeli jails. The IOF also raided homes in the eastern area of Nablus and the environs of Balata refugee camp and fired some stun grenades in alleys and streets before encircling and storming an apartment building on Osaira street. The IOF also kidnapped two other young men identified as Jaser Kadri and Hilal Adel after they were chased by Jewish settlers from Maskiot settlement near Ein Al-Hilweh district to the north of the Jordan Valley. In Al-Khalil, five young men were taken prisoners during violent raids in Bani Na'im town, east of the city. Another man was also kidnapped by the IOF in Beit Awwa town, west of Al-Khalil. Meanwhile, the IOF set up a checkpoint on Halhoul bridge to the north of Al-Khalil and embarked on searching Palestinian vehicles and passengers.